Dr. Stefan Lanka. Image source. Let’s focus on some of the few scientists and medical practitioners who have not agreed with the germ theory’s dogma that places microbes as agents of death that should be feared while ignoring other aspects of health. As early as the late 19th century, right around the time Louis Pasteur made his questionable germ theory claims of germs “out there” causing disease in us, German biologist Dr. Rudolph Virchow, known as the “Father of Pathology” made this statement, which was included in Dr. Robert O. Young’s book, Sick and Tired? : Reclaim Your Inner Terrain. If I could live my life over again, I would devote it to proving that germs seek their natural habitat—diseased tissue—rather than being the cause of the diseased tissue; e.g., mosquitoes seek the stagnant water, but do not cause the pool to become stagnant. This “inner terrain” model was echoed by two of Pasteur’s most critical contemporaries, French scientists Antoine Bechamp and Claude Bernard. Bechamp was an advocate of the pleomorphic tendency of microbes to change from one type to another according to the blood or tissue where it resided. Bernard supported that view also, exclaiming the germ was nothing, the inner terrain is all. In other words, any benign or more likely helpful microbes, which actually all exist in our bodies and outnumber our cells, when engulfed with some sort of imbalance, low pH, chronic inflammation, or toxic environmental influences, change into less desirable guests within our inner terrain, of which our immune system is a part, not the whole. 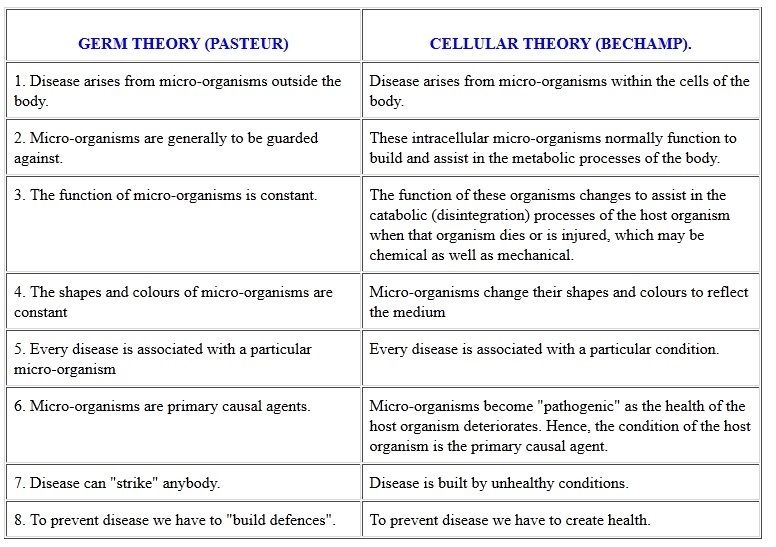 Despite widespread acceptance of Pasteur’s germ theory, one germ for each disease, there were enough scientists who accepted the pleomorphism theory of microbial organisms, changing perhaps from helpful, benign, to pathogenic according to their immediate organic environments, or inner terrain. Later in the 20th century, circa 1930, a brilliant scientist named Royal (Roy) Raymond Rife created what he called the Universal Microscope, a large complex instrument that was capable of magnifying even viruses in real time. He was able to report microbial changes of form and size, often up to 16 phases of transition within the same microbe. Those of the pleomorphic persuasion were thrilled to witness the proof of their beliefs with Rife’s microscopic wizardry. Until Rife’s Universal Microscope, electron microscopes would not allow microbial organisms to thrive. The electron fields killed them. The practice of staining blood and tissue samples also destroys them before they even are placed under the microscope. Fast Forward To Today’s Virus Wars: Does the Measles Virus Actually Exist? 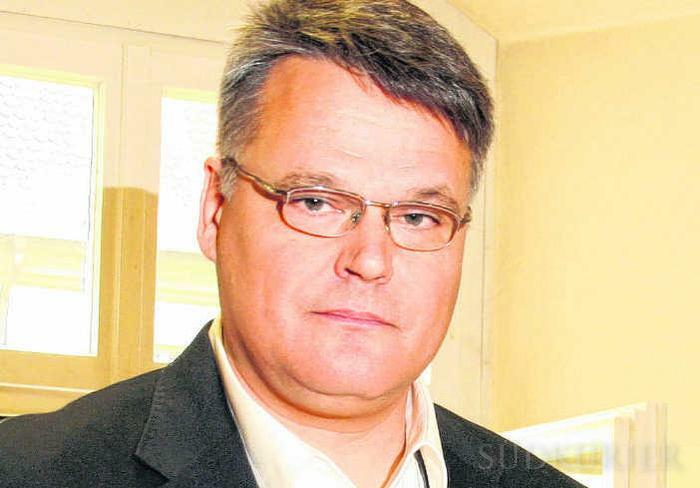 A recent episode in Germany created a suppressed stir in the field of microbiology when microbiologist Dr. Stefan Lanka claimed he would award anyone 100,000 Euros who could prove the existence of the measles virus. So how are they making MMR vaccines with attenuated measles viruses? That’s Lanka’s contention. He and several other virologists have also challenged the HIV virus as a valid viral entity and even if so, as the cause of AIDS. Some question how one virus can cause a myriad of diseases. They all question the fact that the virus is not isolated in diagnosis. Instead, unreliable antibody tests are performed to put someone into life or death crisis over a virus that many claim really doesn’t exist. These are prominent virologists like professor Peter Duesberg, whose contention that HIV does not cause AIDS (Acute Immune Deficiency Syndrome), has caused him to be cut from research funding and marginalized by many of his peers in the scientific community. Saying AIDS is not from a virus but by simply running out one’s inner terrain to the max and destroying oneself with lifestyle choices and the high use of legal “poppers” (amyl nitrite) was just unacceptable. But claiming a virus is the cause of AIDS and scaring everyone was okay. Heavy antibiotic use also contributes to damaging one’s inner terrain, especially beneficial gut bacteria that are needed for good digestion and immune responses. Another suspect virus is hepatitis C. No virus has been really isolated and proven according to Koch’s postulates. Just another antibody test that proves antibodies exist, but for what if there is really no virus? Objectively examine the results of all recent “epidemic” viral threats, including the bird flu, swine flu, Ebola, and Zika viruses. They certainly created the panic for more vaccines getting rushed into existence as well as more getting vaccinated. And as the U.S. vaccine court proves, many who get vaccinated wind up with minor, major, and chronic autoimmune diseases, sometimes paralysis, autism, and death. The one germ one disease theory certainly seems to be a great business model for the medical/pharmaceutical industry complex.